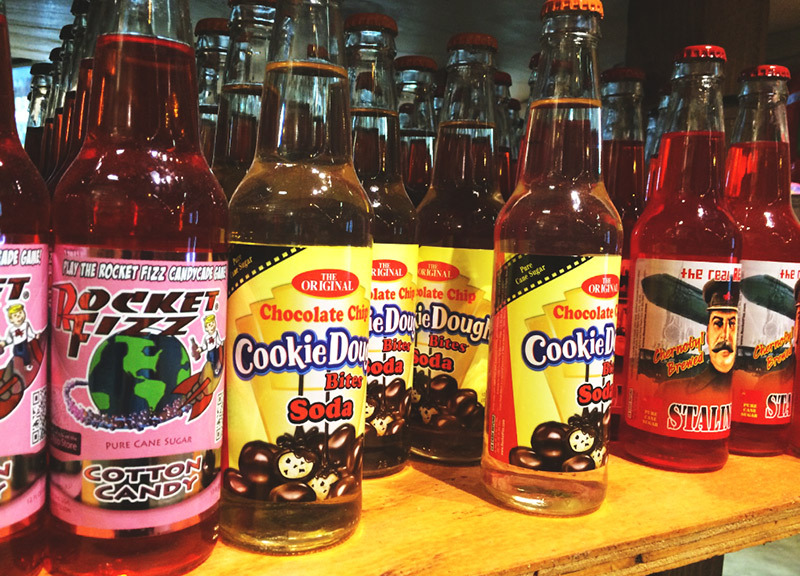 New Deep Ellum Candy Spot Rocket Fizz, Which Isn’t A Speakeasy, Has Some Weird Sodas. Every now and then, something comes along that you never thought you needed, and — boom! — out of nowhere, it totally turns around your perspective on stuff. 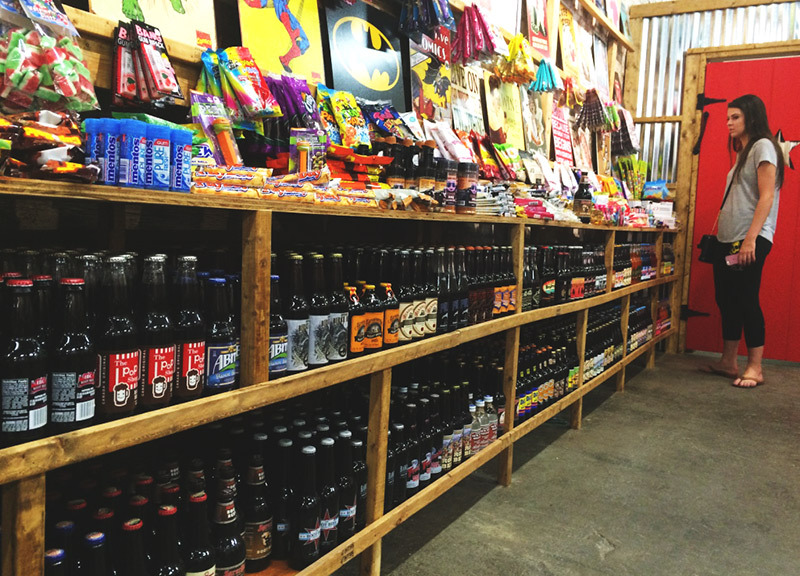 Take, for instance, the new Deep Ellum soda and candy retail spot — no, for real this time — called Rocket Fizz, which opened up shop on Saturday night at 2710 Main Street. Really: Amidst all of the growth that Deep Ellum has been experiencing of late what with its many new exposed-brick bars, late-night restaurants and — gasp! 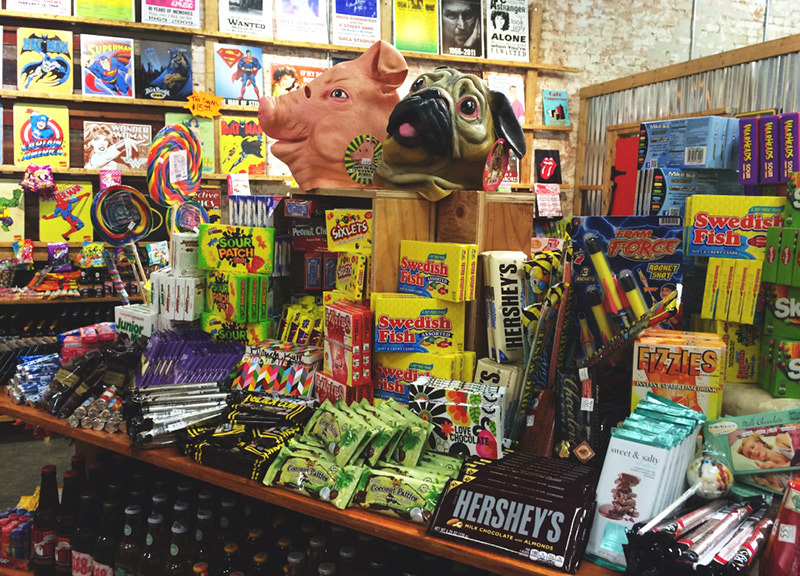 — high-rise residences, the last thing one could think the neighborhood needs is a soda fountain slash candy store. 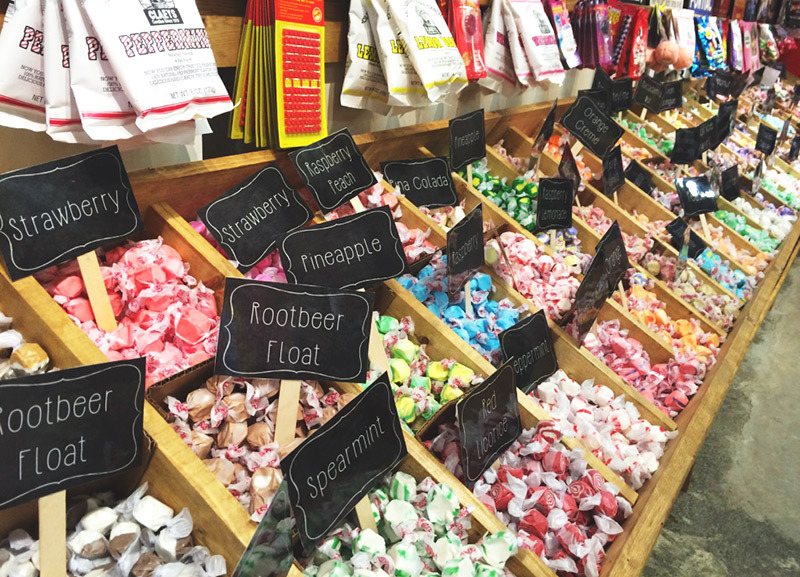 And yet, on opening night, Rocket Fizz was definitely drawing people into its climes right across the way from Pecan Lodge. With the evening in full swing, curious passersby continuously peeked their heads inside, pleasantly surprised that the store was open. And why shouldn’t they be excited? 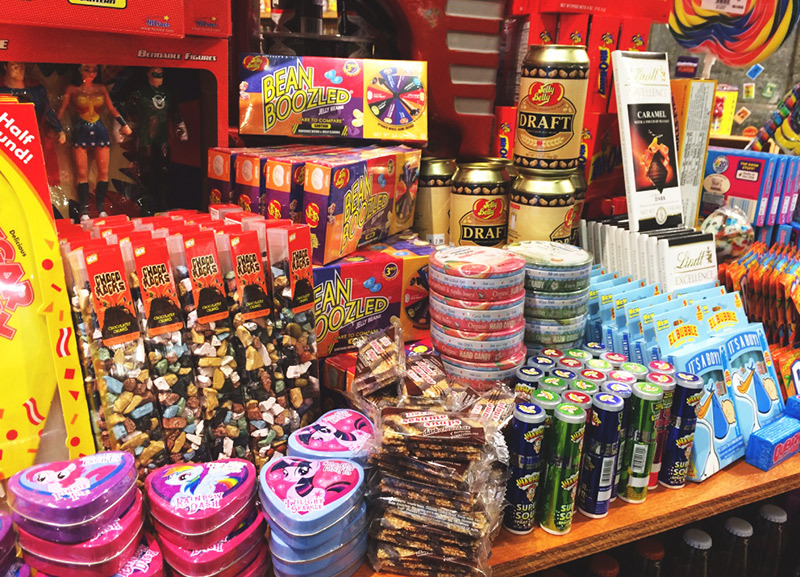 Per Danny Wilson, managing partner for this location of the national brand, the shop boasts “380 varieties of soda, 100 different types of taffy, over 2,000 candies and 80 different kinds of root beer.” There’s also magnets, gag toys and freaky-looking chicken masks. 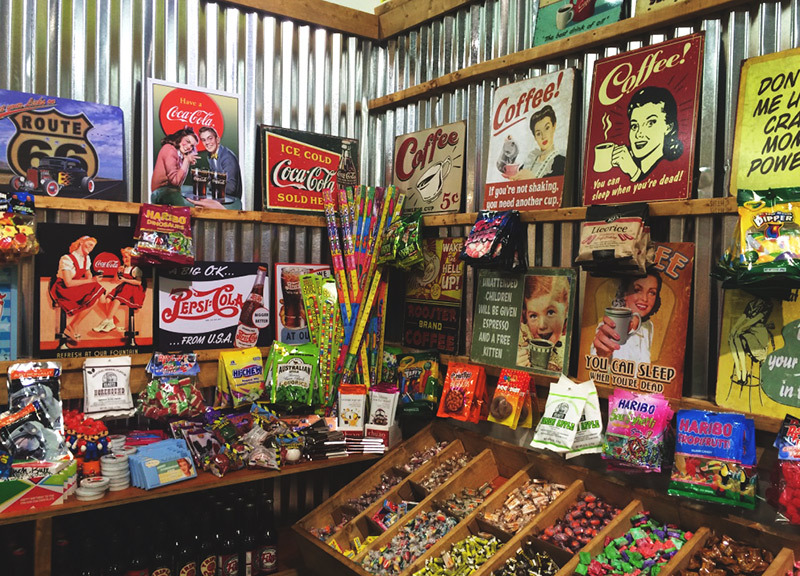 After making a name for itself locally at its Frisco outpost, Wilson says this Deep Ellum spot is the first of four planned new Dallas locations coming for the fast-growing company. 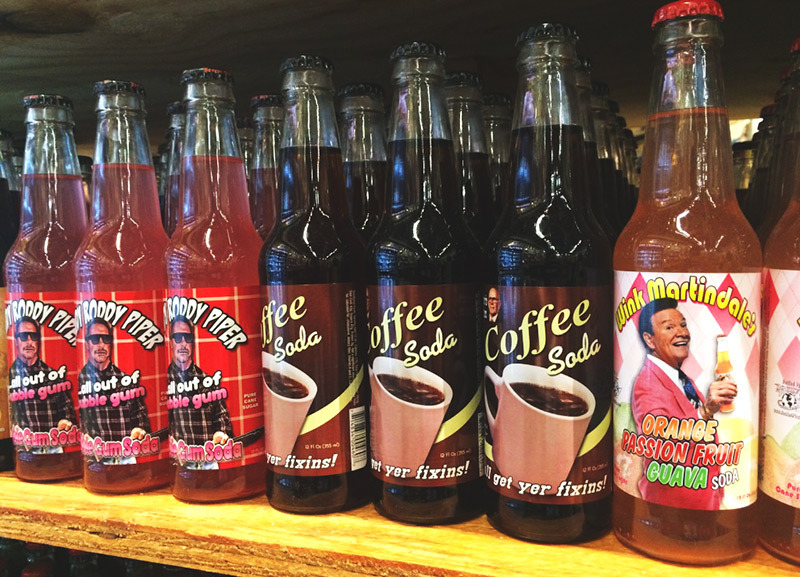 In other words: Weird sodas are coming to a neighborhood near you. Here are the five that turned our heads most during our first trek to the new Deep Ellum location. Bacon Soda. Let’s be honest: The Internet’s obsession with bacon has gotten out of control. 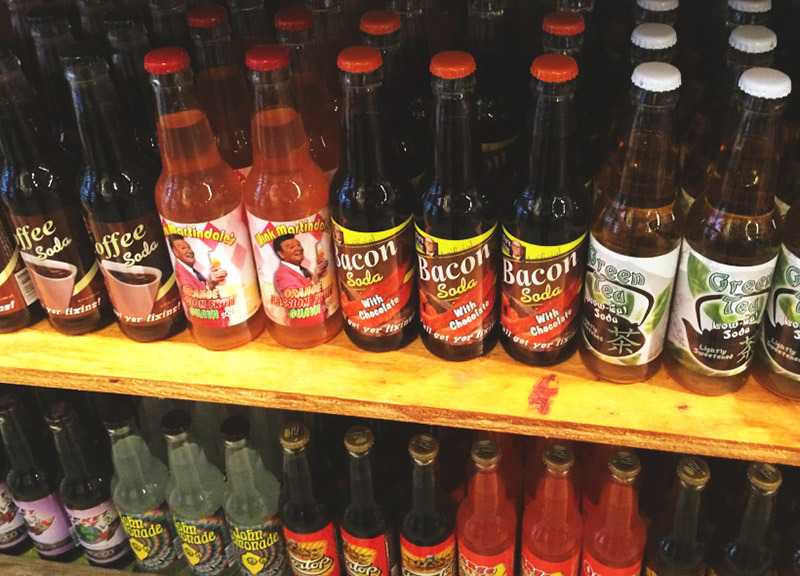 Bacon soda? Bacon candles? It’s all a little much, and we’re kinda of over it. Wait, this one has chocolate in it, too? Dude: Chocolate-covered bacon soda. Into it again! John 5 Soda. 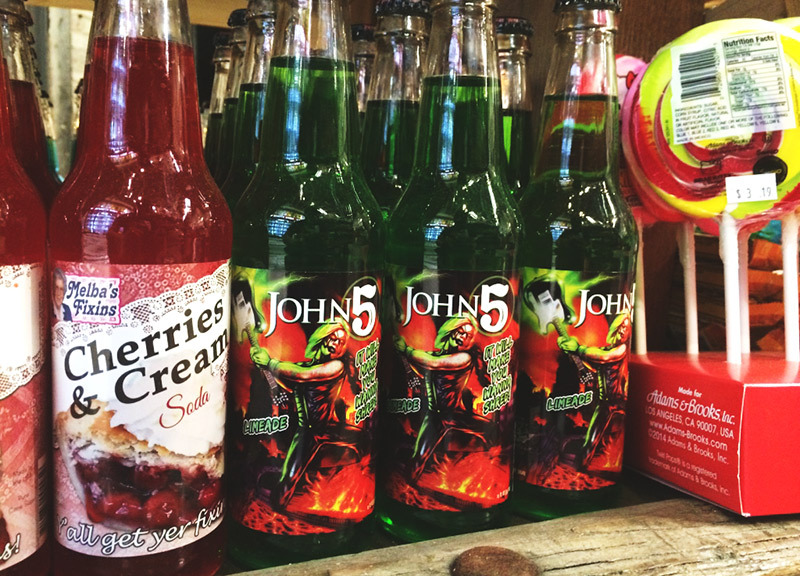 Teen goth me would be so into drinking a soda named after then-Marilyn Manson guitarist John 5. The label claims this one “will make you wanna shred.” Dunno about that, but here’s a video of the man himself giving this soda a thumbs up. Cookie Dough Bites Soda. Cookie Dough Bites are one of the most legit movie snacks — mix it with some popcorn and jalapeños and thank me later — so I’m of course way into the idea of turning it into a soda. Based on the color, I’m guessing it’s cream soda-based? Coffee Soda. Coffee has caffeine. Soda has caffeine. Can a normal human heart handle all of the caffeine? There’s only one way to find out! 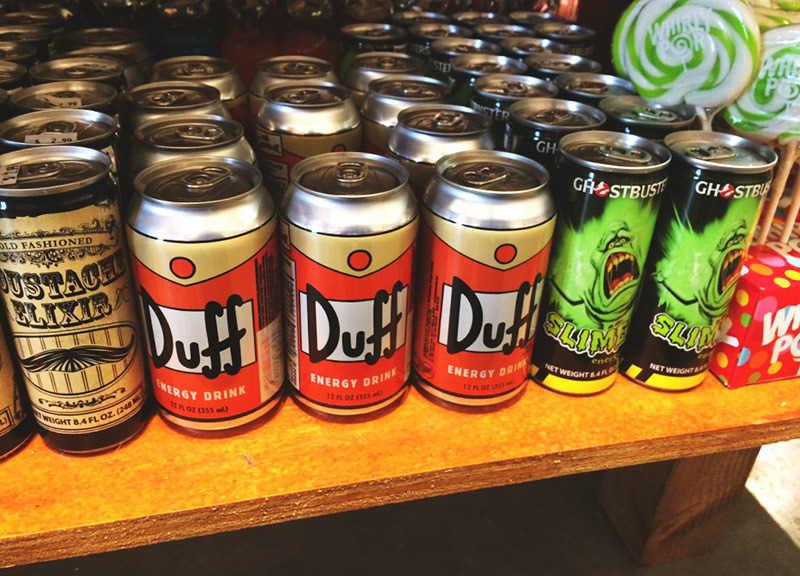 Duff Energy Drink. OK, so it’s not beer. And it’s not even technically a soda, although it is carbonated. Listen: Unless you want to go to Chile, this is probably the closest any Simpsons fan is gonna get to the real thing. I, for one, welcome our new energy drink overlords. Next ArticleThings To Do On Wednesday, September 2.